MKs and community leaders express outrage at Thursday's attack on a Ma'ale Shomron resident and his 11 year old daughter. Ministers, MKs, and community leaders expressed outrage at Thursday's attack on a Ma'ale Shomron resident and his eleven year old daughter. Deputy director of the Samaria Regional Council, Yossi Dagan, said that all the resources of the Council are being thrown into the search for the culprits and into developing methods to prevent a repeat. “This was a serious attack. The ease on the strictures we have given terrorists has led to many attacks on our roads. It is illogical how we are letting them do this,” he said. The victim, Avner Shapira and his 11 year old daughter Ayala were attacked by Arab terrorists who threw a firebomb at his vehicle Thursday night. The two suffered burns, but managed to escape from their burning vehicle. They were treated on the scene by Magen David Adom rescue workers and taken to a hospital in Kfar Sava. The girl is said to be in very serious condition by doctors. The incident occurred on a service road between Maale Shomron and the new community of El-Matan. Ma'ale Shomron is located off Road 55, which stretches between Kfar Sava and Shechem. IDF troops were in pursuit of the terrorists. Housing Minister Uri Ariel (Jewish Home) called on the army to retaliate to firebombs as it does to attacks from the Gaza Strip. "Firebombs have one goal - to kill Jews," he said in a statement, calling on the prime minister and army to respond with "severity and harshness." MK Orit Struk (Jewish Home) said that “this shocking attack must be a line in the sand in our relations with wicked Arab terror. A government that wants to truly prevent attacks on little girls traveling in cars must begin taking clear steps against terrorists and show them that their actions will not pay off. It's not just about punishment – we must take an important Zionist step such as strengthening Israeli control of the land wherever we can. Former Judea and Samaria Council head Dani Dayan, a resident of Ma'ale Shomron, was at the scene of the attack minutes after it occurred. “Ma'ale Shomron is my home, but now it is a terror target. One of my friends and neighbors was hurt, and his daughter seriously injured. We cannot accept this. Security forces must fight this terror with a strong hand,” he added. In recent months, there have been several rock and firebomb throwing incidents in the area of Road 55, which had been considered quiescent until recently. Several weeks ago, large numbers of IDF troops massed to successfully hold back a mob of Arabs from the neighboring village of Azzun who had attempted to march on Ma'ale Shomron. Avner Shapira is the nephew of Sara Eliash. 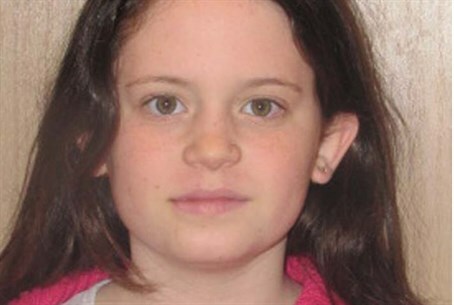 The article about her on Arutz Sheva's main page was posted just a few minutes before the news of the terror attack.